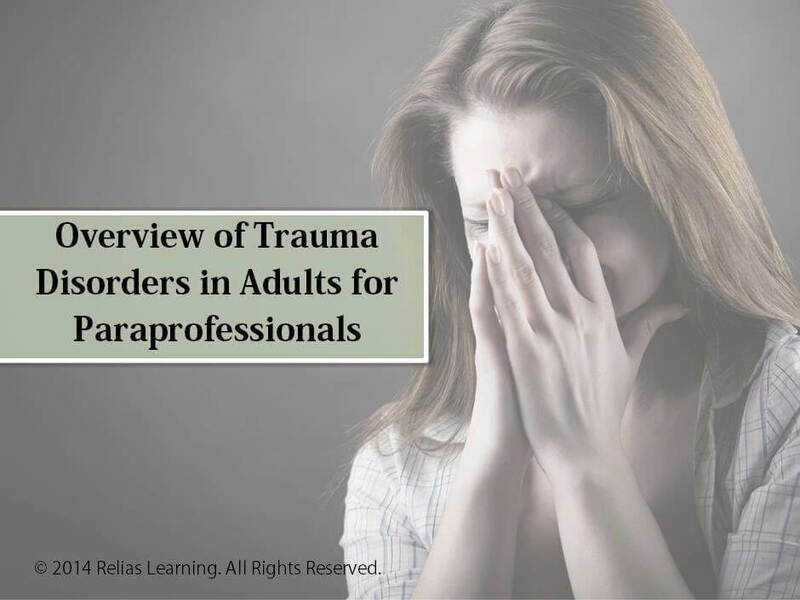 This course discusses the basics of trauma disorders, including posttraumatic stress disorder, acute stress disorder, and adjustment disorders. Discuss the psychological nature of trauma and identify common trauma reactions. Explain common symptoms of posttraumatic stress disorder. Describe what mental health professionals can do to minimize the effects of trauma.